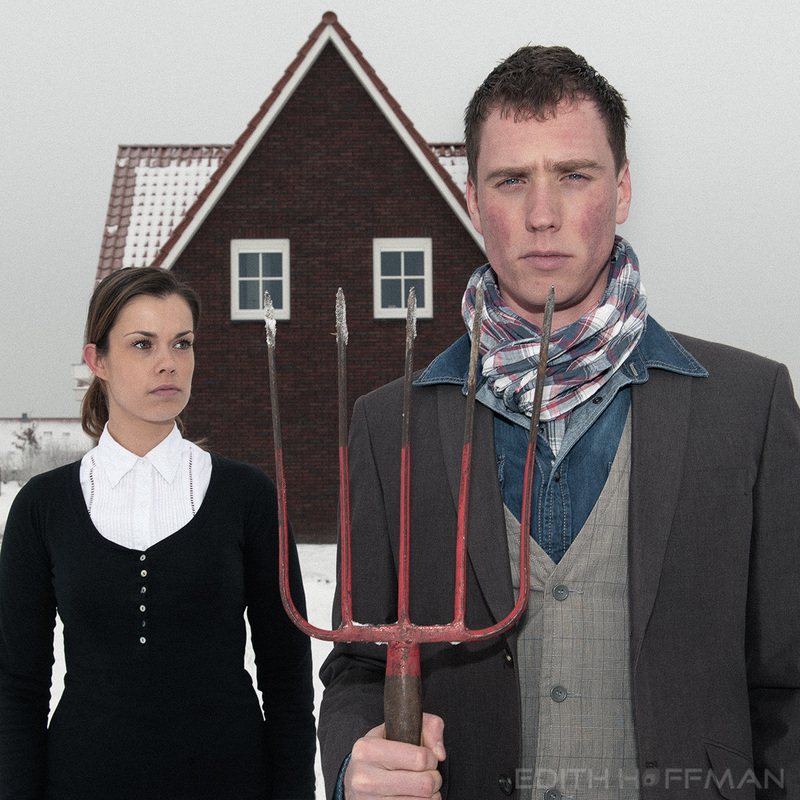 This photograph is a copy of the painting “American Gothic” by Grant Wood. I made this picture last year in Hendrik-Ido- Ambacht. It was a very cold winter’s day with temperature of -20 degrees Celsius, so it wasn’t comfortable for my models to stand there without a coat. As you can see there was also still snow and that reflected as well. They really did a wonderful job and really went into their role. Forming the interpretation of American Gothic was based during the time period it was in, 1930, in the midst of the Great Depression. Grant Woods was trying to take a subtle swipe at America. Nevertheless, the man and woman’s demeanor and facial expressions show they are standing strong against something threatening. I put some noise, so you get the mood of a painting and also desaturated it a bit.